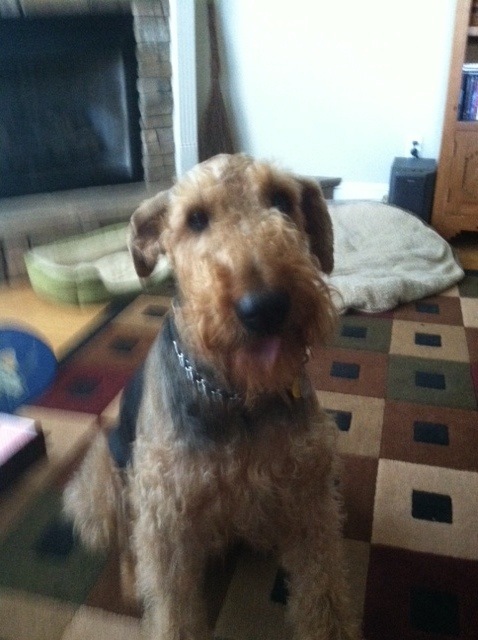 Oliver is a sweet loving Airedale who needs a new home. He is 95lbs of LOVE. A gentle boy who is never snappy, Oliver enjoys couch time, yard time and leash walking. He is excellent on the leash and will be your best walking companion ever. 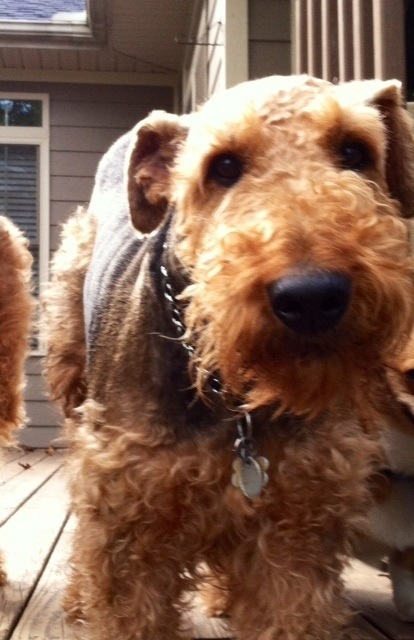 He has always loved his backyard time and he has a big fenced backyard where he is on squirrel patrol. Oliver does well with other dogs. Oliver always likes to look his best and is an excellent boy at the groomer. At one time in Oliver’s life, he did not have good care and his dental care was neglected. Oliver has to have some teeth extracted. Oliver is up to date on required vaccines, Heartworm negative.